Super Bowl ROI: What is the value of an ad during the big game? Free in-depth data analysis for national network advertisers. Like millions of other NFL fans, I lamented the elimination of my favorite team from playoff contention last weekend. Yes, my beloved Jacksonville Jaguars ended their season at 7-9 and pro football for me will not carry as much passion over the next four weeks as it did for the last 17. But, like my fellow fans of the 20 teams that didn’t make the cut, I’ll find someone to cheer for during the playoffs and will ultimately enjoy watching a Cinderella make some magic happen in the Super Bowl. And of course, I will enjoy this annual celebration of advertising as millions watch every Super Bowl commercial almost as intently (and sometimes more so) than the game itself. Watching Super Bowl commercials is fun, but as a marketing researcher I have to ask the question – what is the return on this investment? 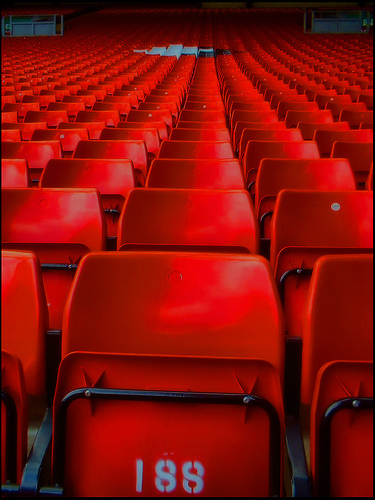 Are you filling the stadium for your brand or playing to empty seats? Every day I talk to marketers from all over the world. Companies like Royal Bank of Canada, Johnson & Johnson, and 1-800-Flowers who are asking the same question about their advertising budgets. MarketingExperiments conducts research to not only help marketers answer this question, but find the most effective use of their marketing budget. Sometimes marketers are afraid to question the status quo, but in a time when every dollar counts we must ask the hard questions and find answers with real data rather than just intuition. So, to my friends in the marketing departments of the national network Super Bowl advertisers, I offer you this: Share your objectives, metrics, and results from your Super Bowl campaign with us and we will help you determine the actual ROI from this media spend by constructing a model, analyzing the data (our specialty), providing short- and long-term ROI projection modeling, and measuring the financial impact to brand value. All of this we will do FREE of charge and present the results to you and your team in a manner that is both powerful and easily understood. If your Super Bowl campaign was a winner, we’ll make that win easier to socialize. If you didn’t get the value you expected, we’ll help you understand why so you’re more informed next year. Maybe your favorite NFL team won’t win the Super Bowl. That doesn’t mean that YOU are eliminated. Win the marketing Super Bowl this year by being the hero that brought in the experts (for FREE) to show how big your win really was. Email or call me at (904) 339-0068 and we’ll talk about the details.